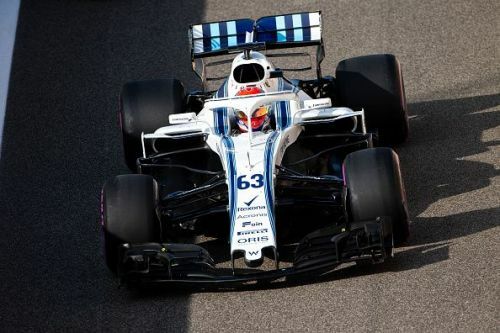 Williams endured a torrid 2018! The 2018 season had a lot for teams like Mercedes, once again the winners of the constructor's title. The Toto Wolff-led outfit claimed its fourth title in the past five years. Having said that, the world championship was also earned by a Mercedes driver. This would be a sensational fifth-title for the amazing Lewis Hamilton. There were also gains for sides like the Scuderia, Ferrari, managing to be the only side to give Mercedes a competition, even as the Italian side failed to win, yet again. There were some impressive moments for Red Bull, third on the Constructor's standings, a team that would win 4 Grands Prix in 21, thanks to Max and Daniel winning two apiece. But nothing of what's been said comes to explain the sides that faced a disappointing 2018. To that regard, Williams, among the perennial backmarkers of the year faced a season that had nothing going for them. Eventually, they finished 10th on the constructor's championship. What was peculiar about Frank Williams' side is that their 2018 result was the worst in their sport's history. This, mind you, is a side that has had greats like Ayrton Senna race in it. But eventually, the troubles of the side didn't merely end with the FW41 proving to be a damp squib. What was most unsettling, from a general perspective on Formula 1 was that the two drivers would only gather seven points among them. How on earth did Lance Stroll and Sergey Sirotkin manage no more than merely 7 points, having competed in 21 races is something utterly unbelievable and exceedingly disappointing. Having said that, Paddy Lowe, the Chief Technical Officer, Williams, shared his piece of mind on what had been a disastrous season for the car. Lowe exclaimed the following, in relations to Williams' disastrous campaign in 2018 and threw light on some essentials. "It's been a very tough season for the team, but also for me personally, I would say one of the toughest years that I'd had in Formula 1." "Certainly in the middle of it, as different players started to appreciate what we were dealing with, it was a sort of slow realization." "That was a really, really tough time."